was somewhat uncharted territory for Levitt and Sons. 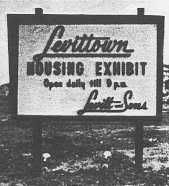 The new community was not directly related to a housing need caused by World War II, like Levittown, N.Y., nor was it tied to a new employment center, as Levittown, Pa. was. Levittown, N.J. was not as much a product of the post-war housing shortage as it was of the beginnings of post-war prosperity. As such, Levitt and Sons continually reinvented its concept to adapt to desires of the homebuyers' market--a market whose buyers now had more discretionary income to spend on a home in a community that they desired rather than buying strictly based on need and availabilty. 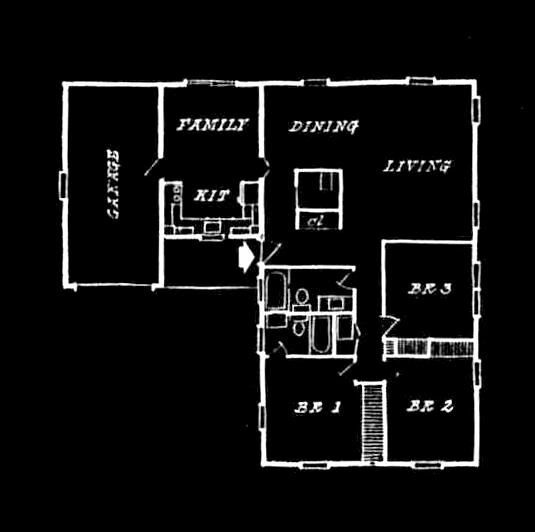 One could say that the first big change in the Levitt's philosophy came with the opening of the community itself, with its housing types varied and mixed together rather than individual sections composed of all one house type. The next change that Levitt made to stimulate its consumer base was in the houseline. 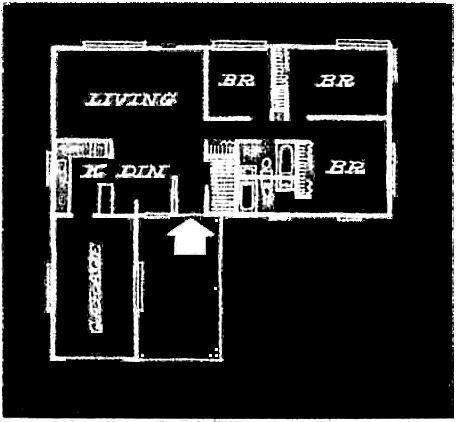 Although the community had opened mid-way into 1958, a redesign of the houseline for 1959 was introduced in October 1958, just one month after the first home in Levittown, N.J. was occupied. The contemporary exterior of House A (Cape Cod) was discontinued and replaced with a second traditional elevation. Perhaps more impactful was the redesign of the exterior of both elevations of House B, the Rancher model. 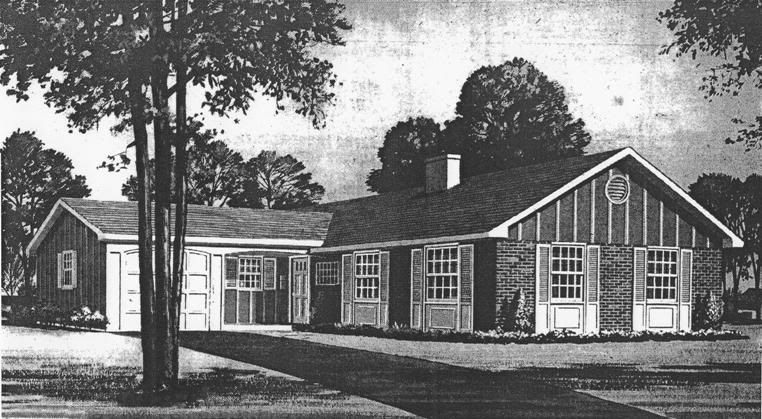 Descended from the 1957 Levittowner model of Levittown, Pa. and adapted to an L-shaped plan, this model was not quite as popular as the Cape Cod and Colonial models in Levittown, N.J. To stimulate interest and maintain the balanced representation of styles in the streetscape, the exterior was redesigned to include a portico leading to the front door from the driveway, giving the same floor plan a more substantial appearance from the street. 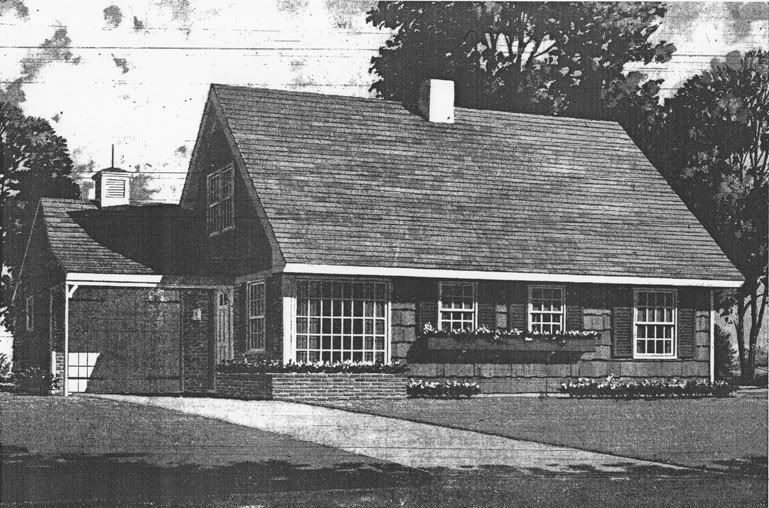 However, it would not be until about a year later with the introduction of the 1960 houseline that Levitt would develop a one-story home that would reinvent the merchant-built ranch home and create the basis for Levitt's standard houseline that would take the company through the 1960s. 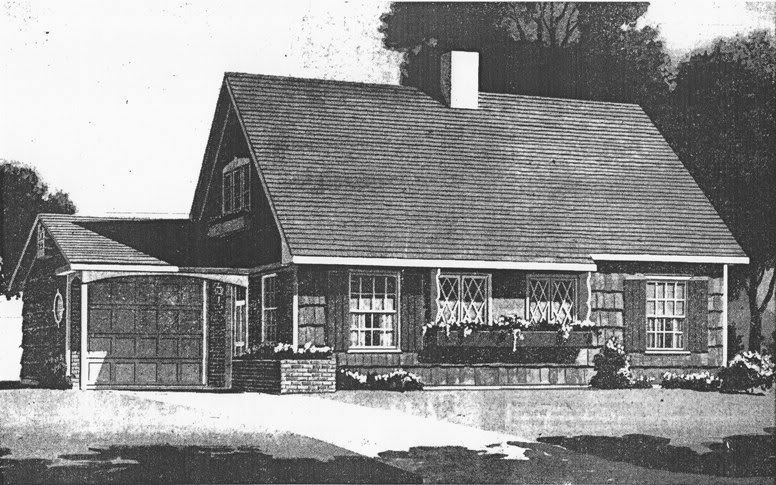 Lastly, in December 1958, a four-bedroom version of House C (Colonial) would be introduced into the 1959 houseline, further diversifying the new community and expanding its consumer base. For the complete listing of all sections of the Willingboro community through 1972, please visit the main page for Levittown, N.J.
"...a good place to live"
In addition to all of the wonderful features of the homes at Levittown, N.J. that you've come to know, the new models for 1959 now include a redesigned exterior for the one-story home comeplete with a handsome Columned Entry Portico and an enlarged Entry Foyer, and the two-story home is now available in a stately Four-bedroom plan that will suit any growing family! The story-and-a-half home is now also available in two traditional exteriors. Two-, three-, and four-bedroom homes are available, all with one-car car garage. Included in the sale price are refrigerator, stove, and clothes washer; in addition, the kitchens of both two-story homes are equipped with a Countertop Range and separate Wall Oven, as well as a Clothes Dryer in the separate Laundry Room. 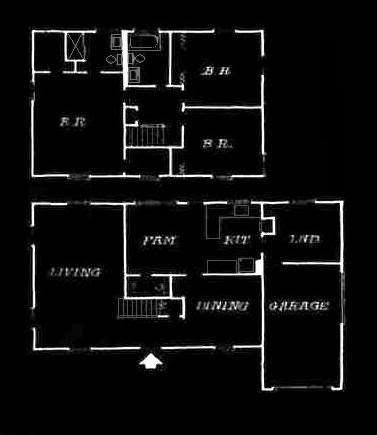 1-1/2 Story (Cape Cod). 4 Bedrooms, 2 Baths, Covered side entry, Living Room with door to back lawn, Front-facing Kitchen with Serving Counter to separate Dining Area, Folding Screen between Living and Dining Areas, One-car Garage with space and connection for future Dryer. Rancher. 3 Bedrooms, 2 Baths, Covered Entry with Columned Portico, Rear Living Room with door to back lawn, Kitchen with Garage Access and Serving Counter to separate Dining Area, Laundry-Utility Room with Washer and space for Future Dryer, One-car Garage. Available in traditional or contemporary exterior. 2-Story Center-hall Colonial. 4 Bedrooms, 2-1/2 Baths, Brick Front, Entry Foyer, Front-to-rear Living Room, Formal Dining Room with built-in China Closet, Kitchen with Separate Wall Oven and Countertop Range, Serving Counter to Family Room, Rear Family Room with door to back lawn, Laundry-Utility Room with Washer and Dryer and Garage Access, One-car Garage. 2-Story Center-hall Colonial. 3 Bedrooms, 2-1/2 Baths, Covered Entry, Entry Foyer, Front-to-rear Living Room with Box Window, Formal Dining Room with built-in China Closet, Kitchen with Separate Wall Oven and Countertop Range, Serving Counter to Family Room, Rear Family Room with door to back lawn, Laundry-Utility Room with Washer and Dryer and Garage Access, Master Bedroom with two Walk-in Closets, One-car Garage. Rancher. 3 Bedrooms, 2 Baths, Covered Entry, Entry Foyer with Guest Closet, Laundry Room with space for Future Dryer, Corner Living Room, Formal Dining Room, Front-to-rear Kitchen-Family Room with Sliders to back lawn and Garage Access, Oversized One-car Garage. 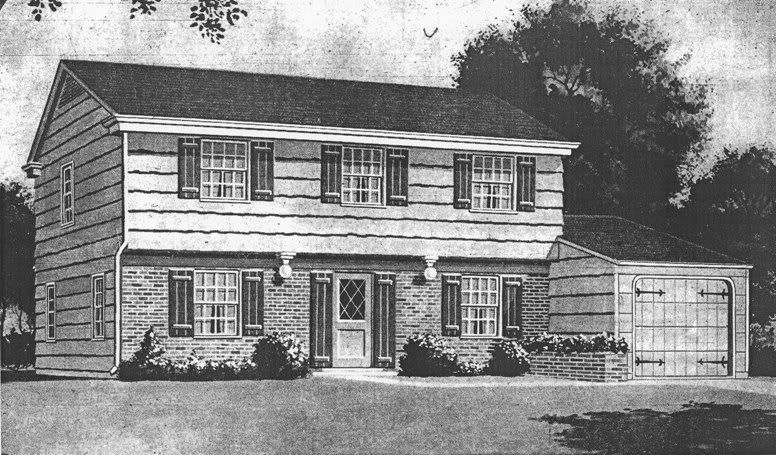 House C1, the 4-bedroom Colonial, was not part of the 1959 houseline that was introduced in September 1958. 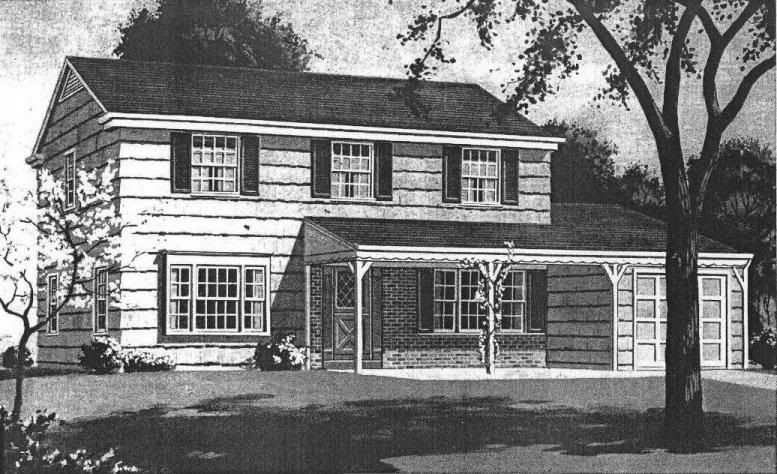 The 4-bedroom Colonial was added to the 1959 houseline in December 1958. 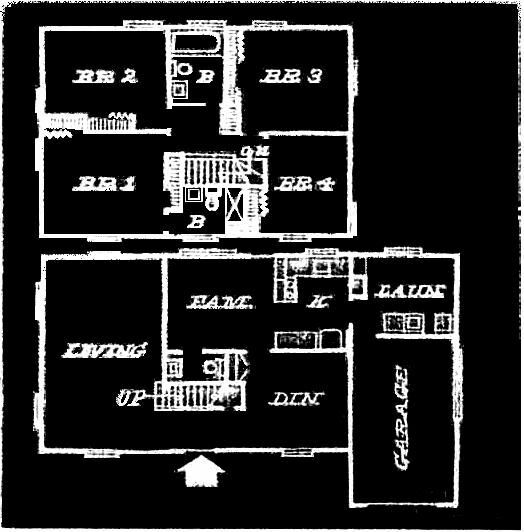 Initially, House C was available only in a 3-bedroom plan in two exterior elevations, retained from the 1958 houseline. 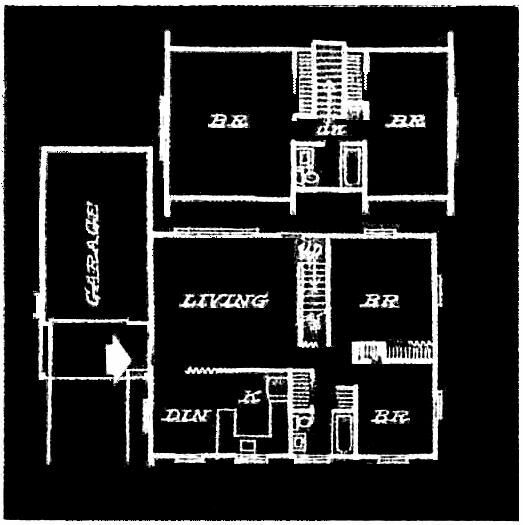 Although the exterior of the one-story model, House B, was redesigned for the 1959 houseline, its plan was relatively unchanged. Despite the change, sales still fell behind the other models. House B in the 1959 houseline was replaced by a completely new design in June 1959. The new one-story design offered many features that were new to Levittown, N.J. and quickly became a best seller in the community. See the September 1959 House & Home article under the Levittown, N.J. in the News section at the Levittown, N.J. Main Page. View the Levittown, N.J. main page for all the information about Levittown, N.J., including advertisements, news articles, and commentary from LB.com. Please visit the Levittown, N.J. main page for links to the communities of Willingboro, starting with Garfield Park at Willingboro and Country Club Ridge.